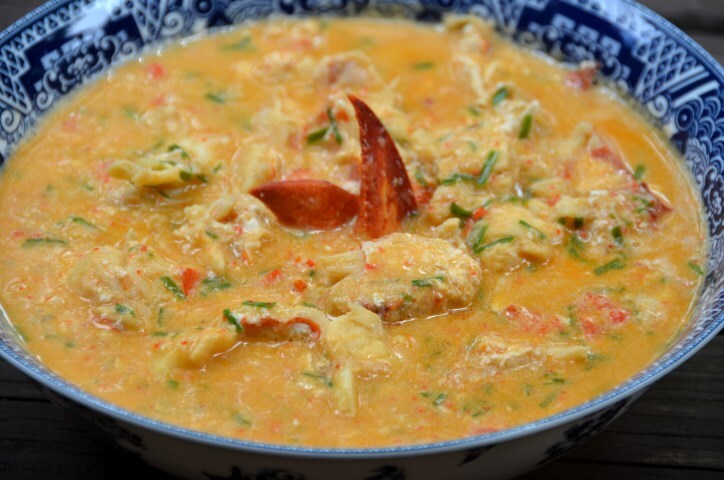 I was inspired to make this dish since I had lobster meat, coconut milk, lemongrass and ginger at home. This sauce can be served over any type of pasta. 1) Heat oil and butter in a medium size pan over medium high heat. 2) Once the pan is hot add lemongrass, ginger and garlic. Saute for about 2 minutes. Do not let the garlic burn. Turn heat down slightly if the pan gets too hot. 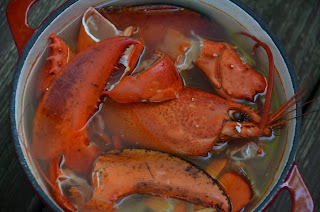 3) Add the lobster meat. Saute for about 3 minutes. 4) Add coconut milk, broth, chives, fish sauce, lobster base and sugar. Stir occasionally and let the liquid comes to a gentle boil. Add cornstarch mixture to thicken the sauce. Stir for another minute and remove from heat. 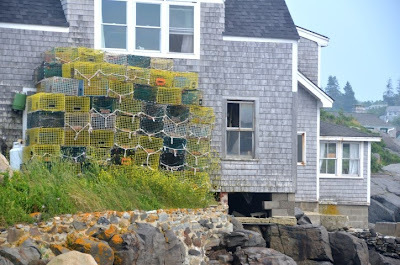 Save all the lobster shells and add water enough to cover the shells. Simmer the liquid for about 40 minutes to 1 hour. Strain and discard the shells. Use the liquid as soon as possible or save it in a container and freeze what you do not use.